It’s a double edged sword living so close to Poole Harbour. One the one hand it’s a nightmare when your at work and the weather is glorious and you know there is fantastic fishing waiting to be had. On the other I can look out of the back door glance at the weather and in minutes be taking advantage of these small windows of opportunity like we’ve had this weekend. It’s one thing to have nice weather but will the fish be biting too? Friday saw me at Lake pier beach, on my own, the beach was deserted . With two hours left of the flood until high tide I had three rods baited with ragworm one cast long, one medium and one close range. The distance rod had a single clipped down rig, the other two had pop up rigs. The weather forecast was spot on, light wind with heavy cloud. After a few changes of bait, sharp rattles on the close in rod told me the school bass were around again. “Great!” I thought! Well at least I was catching. A few schoolies later the close range rod nodded twice, that’s no bass bite! A flounder for sure. Flounder bites are generally left to develop. The old saying was if you get flounder bite”roll a fag, smoke it”, and then reel in to investigate! The result was a plump little flounder covered in orange spots. Definitely a flounder though by its dark drab colouration. That was it after that not even any more bass as the tide eased off towards high water. Sunday was a very different prospect, again good weather but lake pier beach and carpark was packed. A kayak match with at least thirty to fourth kayaks filled the small bay as well as a beach fishing competition by the pop-in sea angling club. Luckily I was able to squeeze into my favourite spot and set up exactly the same as Friday. Unfortunately I had missed the best parts of the tide so I wasn’t hopeful but it was just nice to be fishing again in pleasant weather. Not even the school bass were biting for me. It would seem the kayakers didn’t fare much better than me., though the beach competition was won with a bag of three flounders the best just under 2lb. All in all not the best in fishing terms but I think it was good to make the most of the pleasant conditions. On a word of warning. I have been using zip sliders on my pop up rigs. These are great little devices. However they cannot stand any heavy casting!! The weight links simply snap off. In future I will be using American snap swivels on these rigs! Flounder are starting to be caught on all the harbour marks. Though I still maintain its still not cold enough for them. We may not see them in good numbers until the new year! The purbecks have had mixed success. Steve Perry fished the area on Friday landing a strap conger. When I spoke to him he had said how he struggled to land any larger fish from high rock platforms and how a flying gaff would be advantageous in those situations. With my welding and fabrication background it was no problem between us to design and build such a piece of equipment for that job. 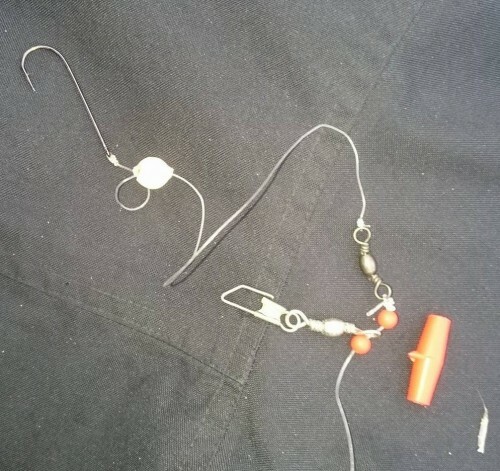 A three hook gaff that slides down the mainline over the weight and onto the fish’s head. Thus avoiding any vital organs of fish like Congers. Steve was more than impressed with the finished product. Commenting that it’s good to know somebody who can fabricate and knows how to put that knowledge into fishing use. With this in mind as well as offering guiding services around the area. 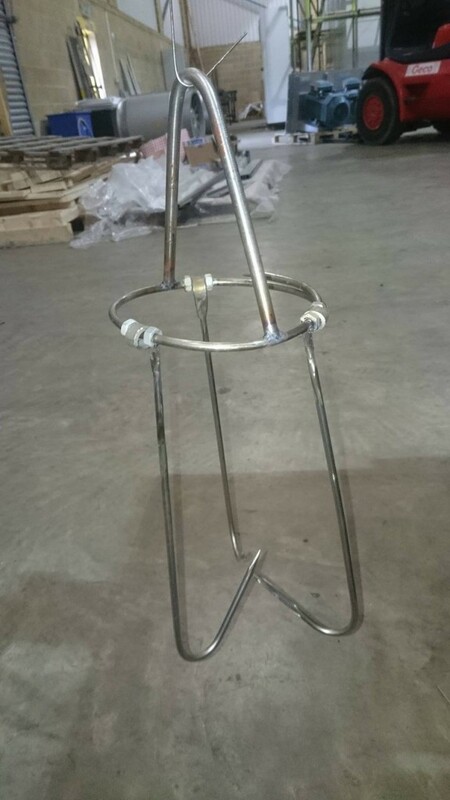 I am also offering a bespoke welding fabrication service for marine/fishing applications. 9 Responses to "Flounder and flying gaff’s"
Thanks for another good read, I’ve been so impressed with these reports I’m booked in to Hole’s Bay Premier Inn on Saturday night to give Poole Harbour a try for flounders at the weekend, sounds like my chosen spots might be a bit busy on Sunday and I might have come too early but I’m used to that as I normally fish KIngsbridge around this time of the year and have only landed one flounder in two years of trying. 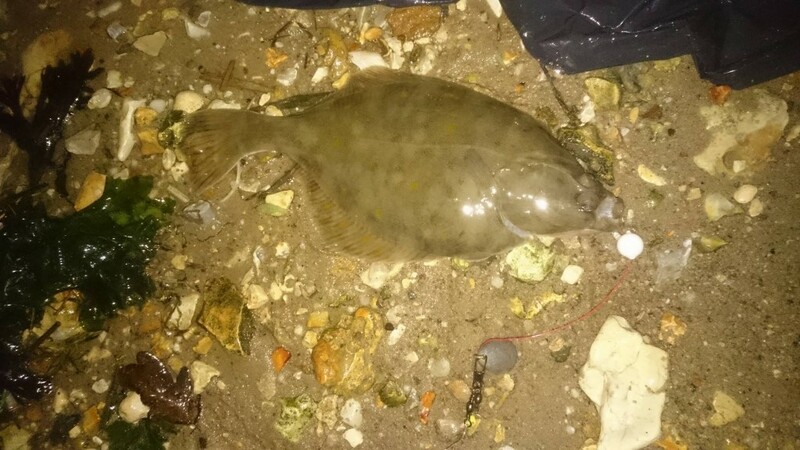 Yet to find anyone who can give advice on flounder fishing at night in Poole Harbour. From what I can gather they are not very good night feeders, is this true? Flounder will feed quite happily at night. In fact some of my best catches have been in the darkness. It also has to be remembered that most fish move in closer to feed under the cover of night and flounder are no exception. Big glowing pop up rigs plenty of worm on the hook and a flooding tide are a perfect recipe for catching flounders. A lot of Poole Harbour marks like holes bay dry out at low tide. This is a good time to check out the seabed. Build up a mental picture of all those fish holding holes and gullies. You won’t have to wait long!! Flounder will also feed and can be caught in a few inches of water as the incoming tide floods in. Many thanks, just the info I was looking for. Seen several references to these glowing pop up beads but not sure what size to use, What length trace and the distance from the hook to fix the bead? So eyes , brain and gills of a conger are not vital ? 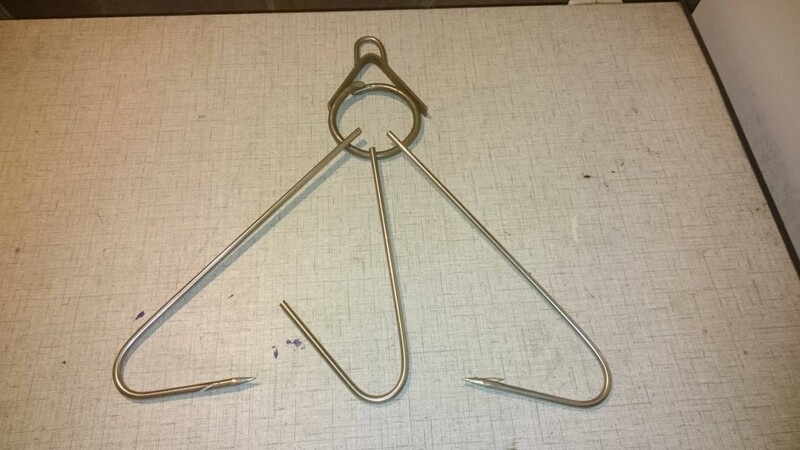 I have fished the purbecks for years landing eels to just under 40lb and never needed one of these. How does returning them happen too , just throw them off ? I agree the flying gaff I made looks like a medival torture device and in the wrong hands could cause horrific damage to both man and fish. 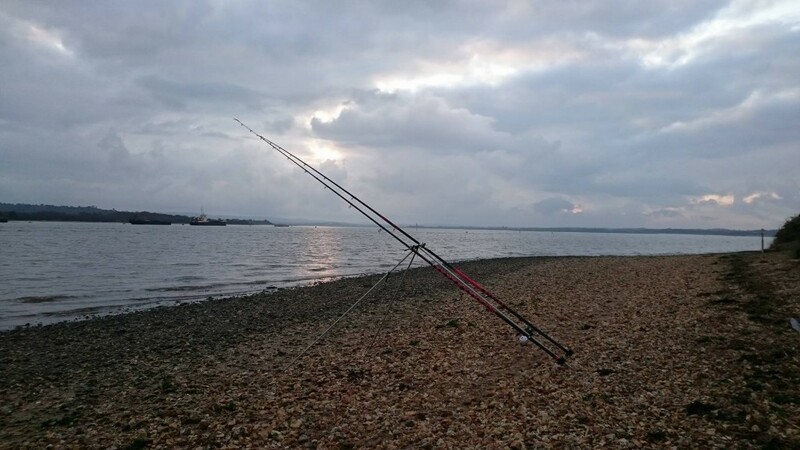 It would be nice to use a large over size landing net to slip under a conger at the waters edge. 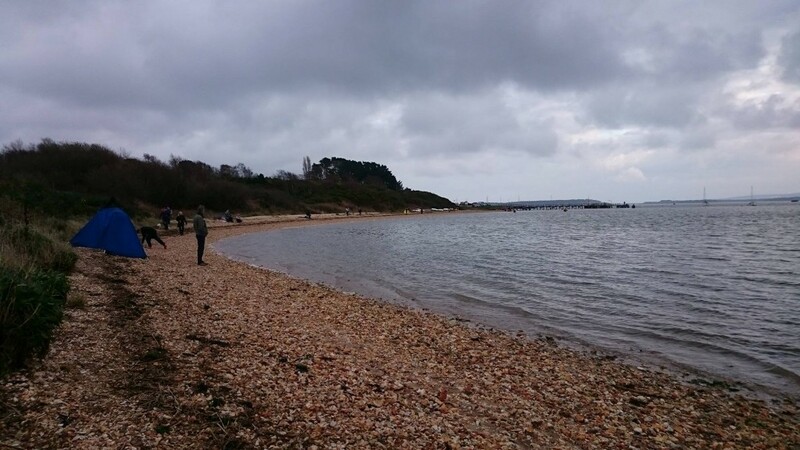 Unfortunately due to the very nature of rock fishing in the purbecks from high rock ledges and especially at this time of year. To land a large conger but I cannot and will not suggest to advise you climbing down to or going anywhere near the waters edge. So to that end Steve and I sat down and tried to come up with something that would be as low impact on the fish but more importantly make fishing and landing large conger as safe as possible. To me the welfare of any fish is paramount and what we came up with was a design based on what American game fishermen have been using for the catch and release of big dangerous fish for many years. Many would still argue that it’s still a barbaric method. Agreed!! But then what damage does an 8/0 forged hook do to a fishes mouth landed or lost. Where do we draw the line?? Hookless conger traces? 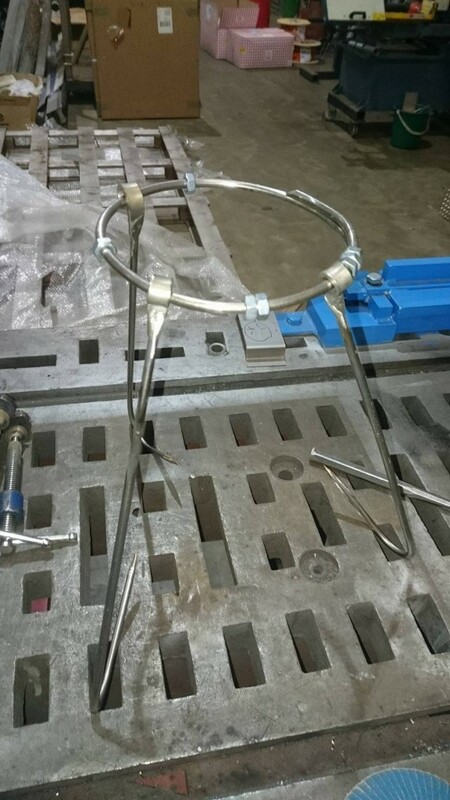 Hey Leo, would it be possible to put a plate in to prevent the gaff teeth going in too deep, as far as there being an ideal solution to taking eels from the ledges……. 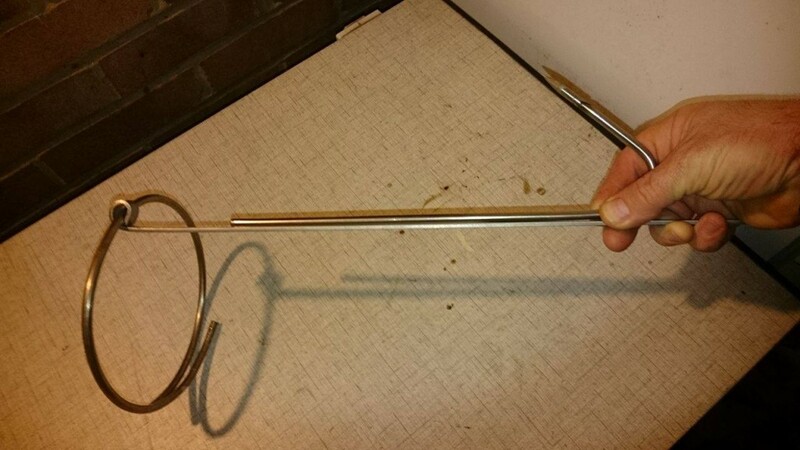 there is not one other than a big drop net and that is much more dangerous and inconvenient for the angler. I think you have to accept that you will damage the eels, in the end you are prepared to damage the fish or you don’t go fishning..